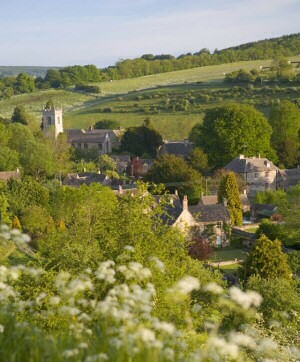 The beauty of the Cotswolds is more than just skin deep. It’s the geology beneath the rolling hills and pretty villages that makes this well-loved corner of England the unique place it is today. The geology is some of the most diverse in Britain and tells a fascinating story of the changing landscape of Gloucestershire over 200 million years. Its influence can be seen in the biodiversity, agriculture and even the beers of the Cotswolds (brewed with local water). Formed during the Jurassic period some 170 million years ago, the distinctive honey-coloured limestone is the trade mark of the Cotswolds.